Intergroup – October 2011 – Lincoln Nebraska A.A.
Chad O/Jessie (22) – Elections Nov 2. Central Office Committee: Jim C. – Total office calls to Central office were 199/12 Step 4. Need 2 alternative board members and need to start bringing up intergroup to meetings. Jim is creating a list of group contributions for central office. Lincoln AA Corrections Committee: Ron R. – Balance remains 200.87. (LCF) Big book study has been taken over by Mike H. He is also coordinating the in house speaker meeting, which meets 2 times a month. (CCCL) the in house 12 step study continues to go well. (RTC) the Saturday night meeting is going well, solid attendance with three volunteers going into the facility. (D&E) attendance is up at the Wednesday night meeting. They may need a new volunteer for the Monday night meeting. (Old Business) At the most recent intergroup Ron and Chad begin discussions with the TX Committee about a possible joined workshop next year. (New Business) the committee received a letter from an inmate at LCC requesting a copy for the daily reflections. The committee votes to donate, as well as 2 other copies to the facility. Joe and Tom also request pamphlets and Grapevines from committee to be donated to CCCL, motion made and passed. PI/CPC Committee: – teaming up with the Independent Center to have a workshop for professional on what AA is and is not date to be March or April. Top pages – 60% site traffic to Meetings page. 29 subscribers to the web email alerts, looking for a way to promote more subscribers to the site. Special Events Committee: Matt C. –Balance 925.34 after deposit to WSI for Holiday Party. Getting ready for holiday party. Flyers are out. Party earlier in the day this year due to the only Saturday in December we could get was the same day as the Big Ten Championship game. There’s no dance this year. Carole and Matt are stepping down from the committee after this year. Both have been doing the committee for well over 7 years. That makes up most of this the committee. If anyone is interested in taking over the Lincoln AA anniversary contact Albert S.
Intergroup elections next month Dec 2nd. Email was sent as a request for underwriting the scholarship for students at SCC to become Alcohol & Drug Counselors. The Judy Fletcher Scholarship Fund is a $1000 annual scholarship endorsed by SCC ED Foundation. Intergroup voted and declined, not AA related. Alcathon is asking for donations from intergroup, moved to table this till next meeting. Alcathon is changing locations need more info before a vote is made. Mark with newcomer orientation meeting is asking for help to grow this meeting. 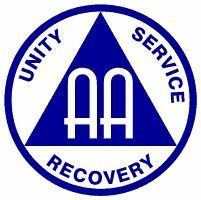 Asking for AA resources and old timers to come and help with meeting talking about service structure etc. tabled to next month. Meeting closed at 7:30 PM, and we all gathered for the Serenity Prayer. The next meeting is December 2nd @ 6:30 @ Willard Community Center-1245 S. Folsom St.